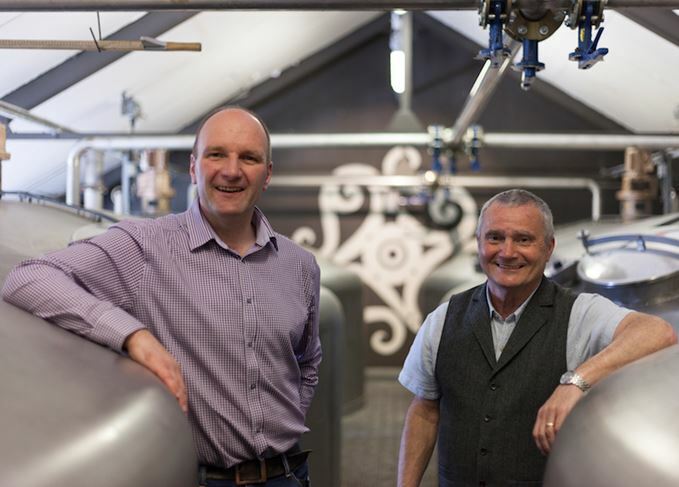 Jura distillery manager Willie Cochrane has retired at the end of a 39-year career, to be succeeded in the role by long-time colleague Graham Logan. Cochrane arrived on the Hebridean island in 1977, intending to stay for only a year, and with little knowledge of whisky – but took a job as a mash/stillman at the distillery and worked his way up to the manager’s role 11 years ago. Renowned in the industry for his friendliness and expertise, he has welcomed thousands of visitors from all over the world to the distillery in that time. Meanwhile, Logan has worked alongside Cochrane for more than 20 years, and has followed the same career path, having started as a mash/stillman 25 years ago. ‘Jura is just as important to me now as it has been for the last 39 years,’ Cochrane said. ‘I’ll find it hard to walk away completely, so I’ll still be involved in promoting the whisky from time to time. Logan first caught sight of Jura while aboard HMS Liverpool in his previous role as a marine engineering mechanic in the Royal Navy; shortly afterwards, his father took a job on the island and, six years later, Graham started work at the distillery. ‘Willie Cochrane will be a hard act to follow – he is something of a legend and rightly so,’ Logan said. ‘Willie played a huge part in making the distillery the success it is today and has been an asset to the quality of the whisky that we produce. Islay’s newest distillery showcased its maturing quality, sharing the day with neighbouring Jura. The single malt release – named One And All – celebrates the island community. From taking a prince to the pub to hosting weddings at home, Willie Cochrane has many tales to tell. Release of ‘One For The Road’ to coincide with farewell tour of Europe by Willie Cochrane. The 18-year-old single malt completes a three-whisky range celebrating Jura’s community spirit.